Born into a Jewish ghetto in Hungary, as a child, Elie Wiesel was sent to the Nazi concentration camps at Auschwitz and Buchenwald. This title presents an account of that atrocity: the ever-increasing horrors he endured, the loss of his family and his struggle to survive in a wor... read full description below. Born into a Jewish ghetto in Hungary, as a child, Elie Wiesel was sent to the Nazi concentration camps at Auschwitz and Buchenwald. This is his account of that atrocity: the ever-increasing horrors he endured, the loss of his family and his struggle to survive in a world that stripped him of humanity, dignity and faith. 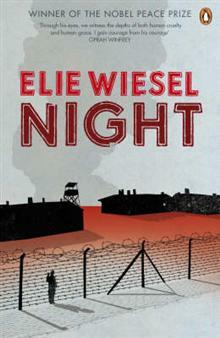 Describing in simple terms the tragic murder of a people from a survivor's perspective, Night is among the most personal, intimate and poignant of all accounts of the Holocaust. A compelling consideration of the darkest side of human nature and the enduring power of hope, it remains one of the most important works of the twentieth century.